There was no surprise when Brydie Hughes, Biggenden QLD, took out the win for the Benalla Stud Open Challenge recently at the New Hope Group Toowoomba Stockman’s Challenge & Campdraft riding her stallion, Beniah. 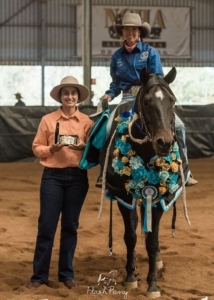 Narrowly beating partner, Nathan Wilson by 3.5 points, Brydie was a little shocked to hear her name called out as Champion and take home the buckle at the 2018 ASCA affiliated show. 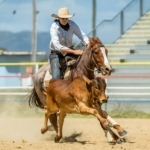 have been early 2015 Nathan put me on Tassa N Smart at a few of our local Show Challenges. 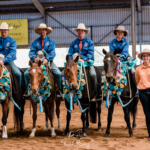 I remember there were a lot of lows with competing such an experienced, show smart horse, however by the end of 2015 we also had a lot of highs, taking out the Grass Hut Open Challenge, Rockhampton Elders Rookie Challenge, and the Open Challenge at Biggenden Show. 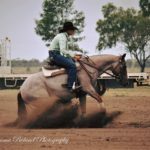 He was a horse that taught me a lot, and having competed on him at the TWCHC this year, he made me realise just how far I have come as a rider. Along with years of hard work and support, Brydie has had a great mentor and support network. I asked Brydie “Who is your greatest inspiration and mentor?”…. “I am beyond blessed to have Nathan, not only is he my fiancé, he is a supportive, inspirational mentor. 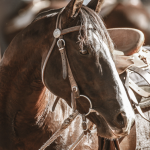 Time & time again he is there to offer advice, courage & support whenever I need him, whether its picking my cattle, saddling my horse or telling me what needs improvement. I appreciate his blunt side too – I think honesty in the competition circle is so important. We help each other out as much as possible, & I think we make a great team. 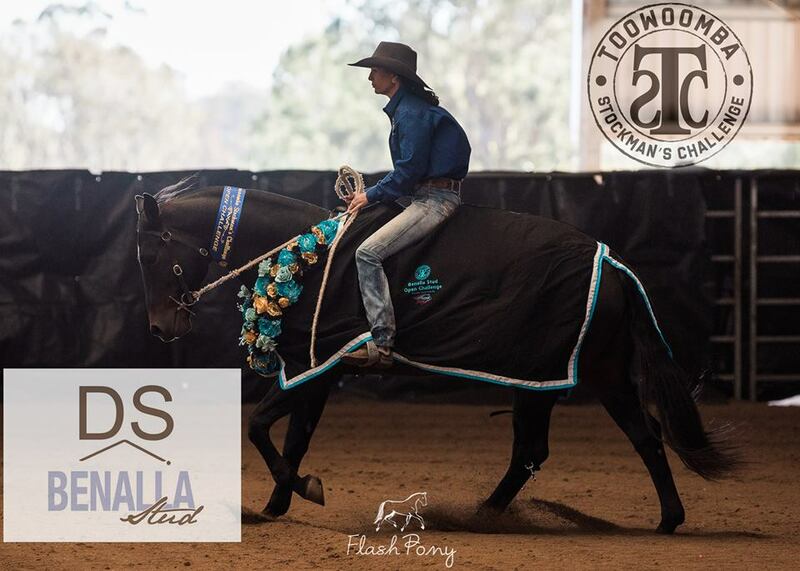 It was evident at the Toowoomba Stockman’s Challenge a true partnership between Brydie and the incredible stallion, Beniah. “Nathan trained Beniah, putting in a lot of time & effort. 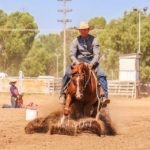 He finalled Ben as a 3yo at HOTN, & won the wet work phase of Cloncurry Open Challenge as a 4yo. After that, they went on to win the 2015 Paradise Lagoons Classic Challenge, and I think that would nearly be the last time they competed together. From the time Nathan first put me on him, we instantly bonded. He is an extremely soft horse, and he really taught me how to ride a horse on a cow. 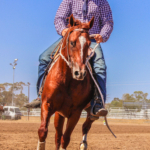 He is a very versatile horse too; it takes a good horse who can dry work just as good as they can chase a cow. On a final note, what advice does Brydie for all the newcomers? “Personally, my best advice to Encouragement Riders, Rookies & those starting out, would be to go out and give it your best, to stay positive & don’t be afraid to ask for help. 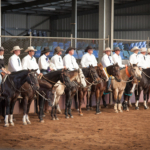 There are many encouraging, supportive trainers out there that not only run clinics, but are always there on show day to offer any words of wisdom & pass on their methods of getting a horse shown. Everyone started out, at some point, a rookie rider. Look to gain something from each show, and learn from it. One of my favourite quotes is “Finished last, will always be better than did not finish, which always trumps did not start”. Brydie and Beniah sure have set the standard for the 2018 season of challenging. 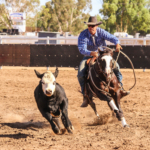 With 5 shows left on the calendar, the competition is only just heating up for the 2018 ASCA Premiership Titles. 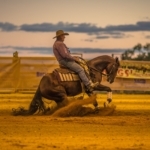 Next up on the calendar is Horse of The North Challenge at Charters Towers, a show not to be missed!